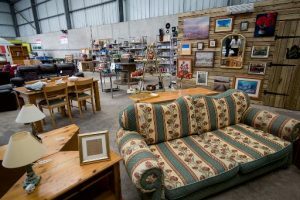 The Emmaus Re-use Shops at Old Swan (Cheadle Avenue) and South Sefton (Irlam Road) Recycling Centres accept used and ‘pre-loved’ items from Merseyside householders which have been dropped off at the Recycling Centres. Instead of being landfilled or recycled, the donations are cleaned, given a new lease of life and put up for sale. If you’re planning to visit any Household Waste Recycling Centre in a van or with a large trailer then you’ll need a Permit to access the site – this includes the Re-use Shops. Apply for a Permit by calling Tel. 0151 236 0305 or visiting www.merseysidewda.gov.uk/waste-recycling/permit-scheme. The Community Reuse Shops are a venture being delivered by a partnership of Emmaus, MRWA and Veolia.